-Economic Impact measured through tourism dollars generated, tax revenue generated, etc. -There is economic and social value to "good design"
It is that time of year again and we want to celebrate you! 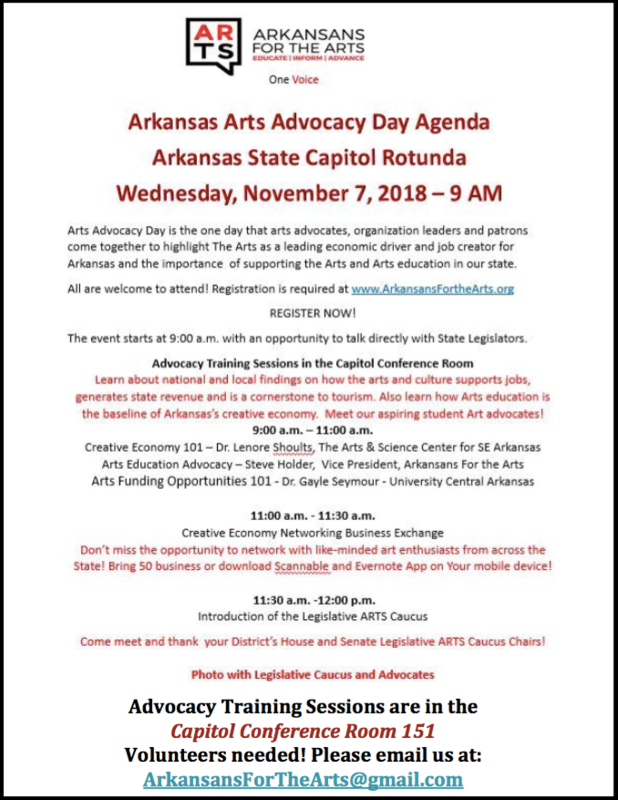 Arkansans for the Arts Annual Membership Meeting will be on Sunday, October 21, 2018, in the Lecture Hall of the Windgate Center of Art + Design on UA Little Rock's campus. It will be from 3:30 p.m - 5:00 p.m.
Let's Celebrate, Advocate and Participate! The second week of September was resolved in 2010 to be National Arts in Education Week. 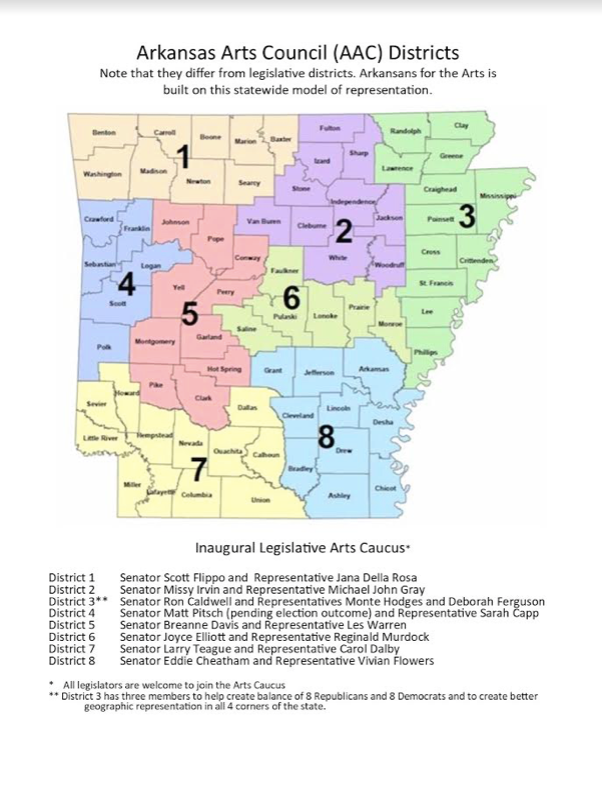 This resolution states, "Arts education, comprising a rich array of disciplines including dance, music, theatre, media arts, literature, design, and visual arts, is a core academic subject and an essential element of a complete and balanced education for all students." 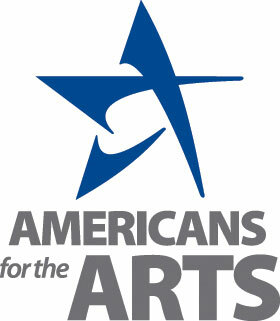 Visit Americans for the Arts website to discover the variety of ways you can Celebrate! Advocate! and Participate!